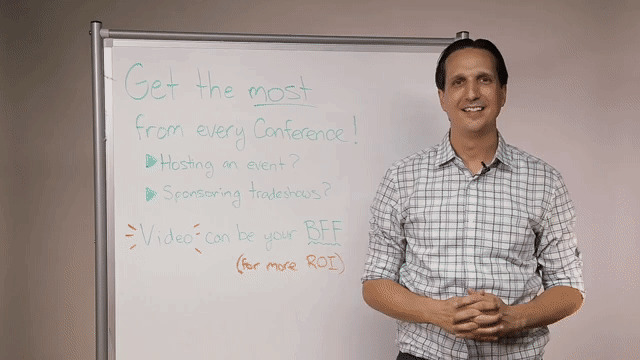 Whether you’re planning, sponsoring, or attending events, you have to stand out to prospects. Their inboxes are flooded with invites and their attention is scarce. But that’s why there’s video. Video captures and conveys the electric excitement of people, personalities, and places to drive attendance, sponsorships, and sales. Our latest Video Book explains how marketers and salespeople can get the greatest ROI from events.